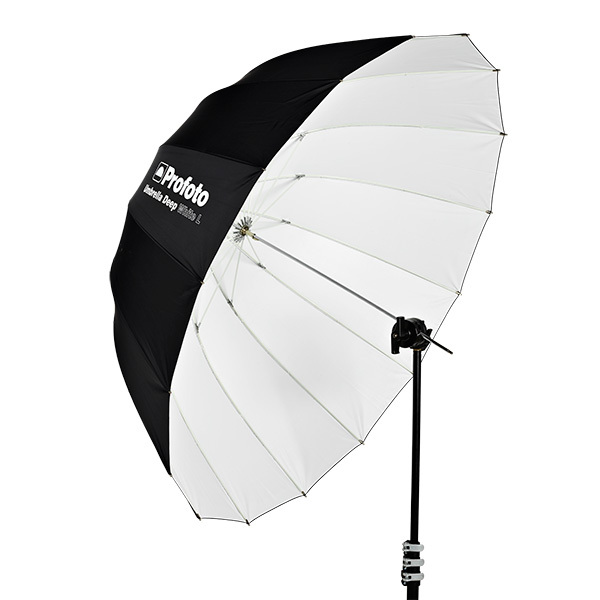 Is the Profoto Deep an expensive lighting umbrella or a softbox alternative? I have mixed feelings about umbrellas. When I started out in photography, I saw umbrellas used as the poor man’s modifier. They are usually cheap in price and quality. Which is the main reason why I only have softboxes. I’ve rented them and if I like them, I’ll buy them. I know they’ll get lots of use and I’ll still have them 5 years from now. At least. Some people will argue that you can get a half-dozen umbrellas and still come out on top. Maybe. But at the very least, it’s a wasteful use of our natural resources. Not to mention a waste in time of running/ordering replacements and fussing with junk equipment while on a shoot. 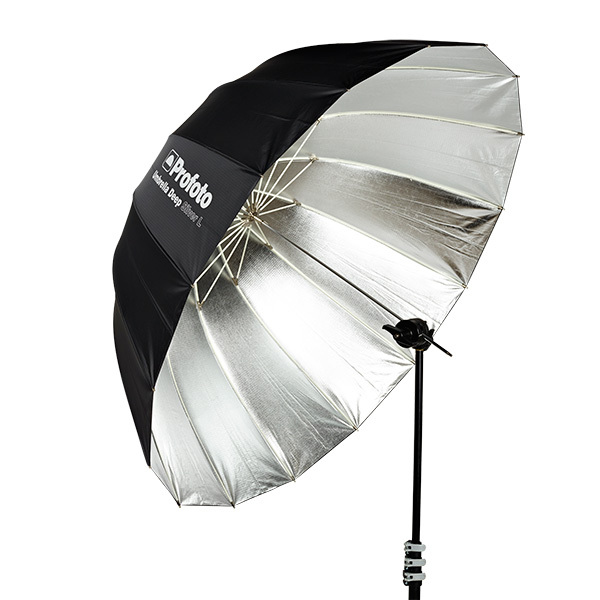 On December 2, 2013, Profoto announced new line of umbrellas called the “Umbrella Deep” line. Profoto has always had, at the very least, a reputation for quality. But when I also saw that these new umbrellas have a deeper, concaved shape to them, I became even more intrigued. I tend to like softboxes that are steeply concave. I like the shadows you can get out of them. Very dramatic. Probably the second most known quality Profoto is known for is their price point. Expensive. These umbrellas start at $199 and end about $349 retail. About six times the amount for similar-sized, quality umbrellas. Did I mention that diffusors for these umbrellas start at $85? Again. Expensive. But that’s if you look at these umbrellas as umbrellas. While I love my softboxes, they are a bit of a hassle sometimes. You need speed rings to form the base of the softbox. Then you need to attach the softbox to the speed ring. And of course, you have to have the speed ring compatible with the strobe or flash gun adapter. And let’s talk about the simplicity of assembling an umbrella versus a softbox. Stay tuned. Looking to get some evaluation units.